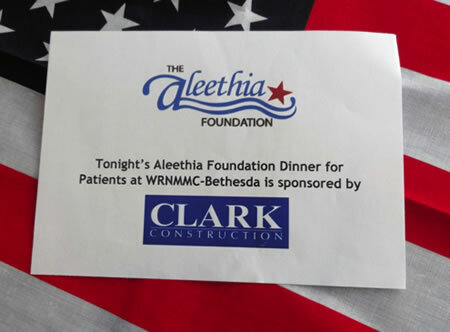 Aleethia extends a huge thank you to Clark Construction Group for hosting the May 29th Friday Night Dinner at Morton’s the Steakhouse! Representatives from CCG greeted everyone as they arrived for dinner, assisted with a raffle, delivered gifts to the winners and provided assistance with various needs throughout the evening. 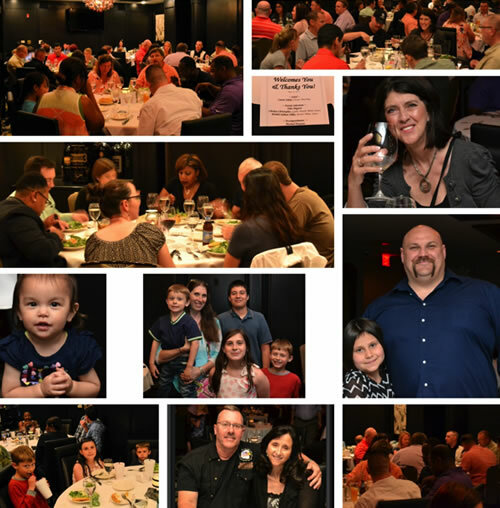 Over 92 wounded/injured/ill service members, their families and guests enjoyed a sumptuous steak dinner! 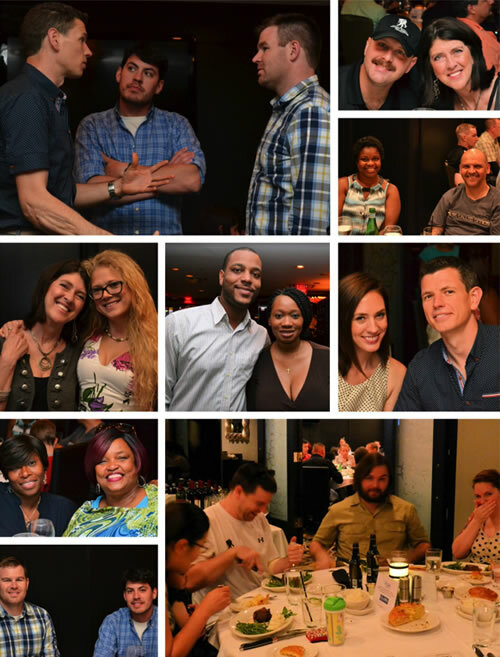 Morton’s staff made it a night to remember with their enthusiasm, attention to details and accommodating our many requests. 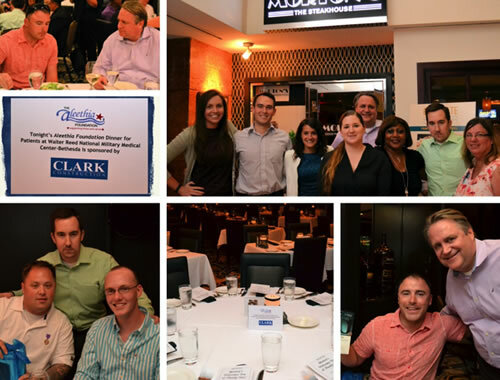 Aleethia greatly appreciates the continuous support of Clark Construction Group since 2005!